Mixer module for mixing audio signals. 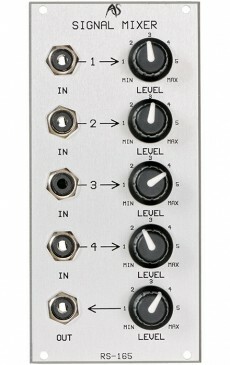 The mixer has four signal inputs and linear level controls. The output also has a level pot. 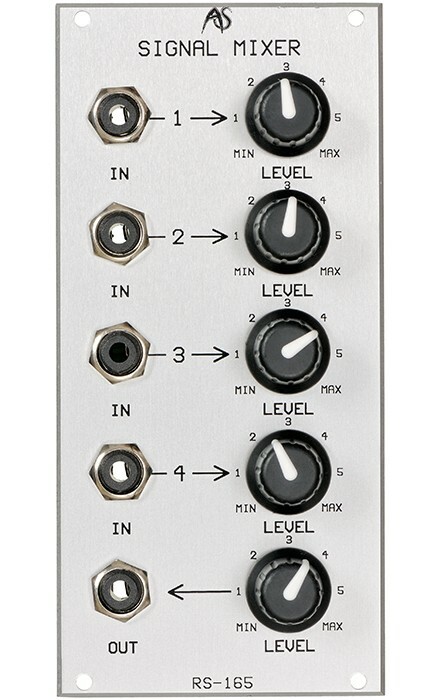 This Dual Bus version features two power connectors, meaning it can be directly connected to either an Analog Systems or a Doepfer modular system. – Adapters are no longer necessary.